Weekend is here and we have a cracker of a find for readers. This gets our vote as the best Shaolin documentary we have come across from East or West. There's much more to Shaolin then is portrayed by popular media as advanced fisticuffs. 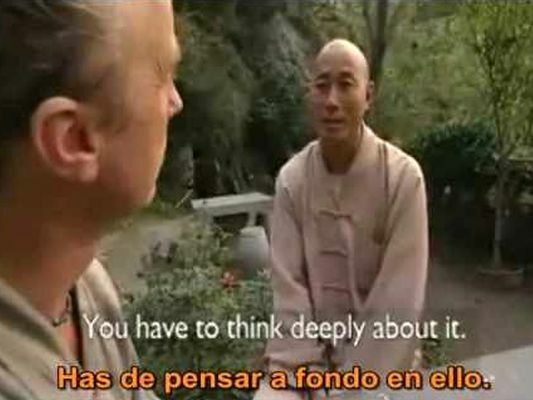 This video is abstracted from the BBC documentary, Extreme Pilgrim, where an English vicar Peter Owen-Jones traveled to the Northern Shaolin temple to find out more about its philosophy and practices. But he didn't find anything there noteworthy of his search. Upon further enquiry, he managed to locate a secret monastery deep in the mountains where renowned Shaolin fighting monk Shi Dejian has secluded himself. Watch this first of a two part series.